The Kalamazoo College Digital Archive (CACHE) includes publications, documents, and images about the College in an online repository. Find Senior Individualized Projects (SIPs) in Academic Departments, Programs, and SIPs. Generally, SIPs in CACHE are only available to current K College students, faculty, and staff. We never share SIPs with anyone else without the author’s permission. There are several ways we can make SIPs available or not available. If you have questions, email dspace@kzoo.edu and let us know how we can help. Enroll in this Moodle course and upload your files. Your materials can be in any version of Microsoft Word, Excel, PowerPoint, PDF, JPG, GIF, MP3, and many others. It’s fine to have multiple files. Upload limit is 200 MB, so if your file is larger, email dspace@kzoo.edu and let us know how we can help. We will convert your document to a PDF if necessary. We make all SIPs non-printable, non-editable PDFs. CACHE promotes our academic programs. Many materials in CACHE are searchable in Google, so anyone around the world can find out about the work we are doing at K.
Reach the audience of your choice. 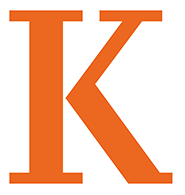 Authors can choose to have their works open to the world, open to current Kalamazoo College students/faculty/staff, or only in CACHE for preservation purposes (administrator only). Reach a wide audience. CACHE materials are indexed by Google, so anyone searching the Web could find your work if you desire. Assessment. CACHE can show how many SIPs were done in a given department in a given year, who advised them, what grants the author may have received, and what other organizations may have sponsored the author’s research. Ease of use. The PDFs in CACHE are keyword searchable throughout the database, and each file is searchable as well. CACHE is available through the web around the world 24/7/365. Preservation of varying formats. CACHE can store and preserve a variety of digital formats including text, audio, video, and images. Save space. Once an item is stored in CACHE, the paper copy does not need to be retained. Some departments may choose to keep paper if they want. Don’t worry about backups. CACHE backs up and preserves your materials so you don’t have to worry about losing them. Quick distribution. Once materials are in CACHE, they are crawled by Google within a matter of days. Permanent URL. Once materials are in CACHE, the URL is permanent and can be used on resumes, newsletters, or other websites. 24/7/365 access. Because CACHE is web-based, materials are accessible whenever and wherever users have Internet access.